Saturday to Saturday only no weekends. £50 none refundable deposit on booking. Booking in 2pm. Booking out 10.30am. PLEASE NOTE BOOKINGS ARE ONLY TAKEN THRU UKCARAVANS4HIRE.COM and no other site this is to deter would be scammers ! Also, if threw complaints made to Owners Elite about bad behaviour in my caravan you are asked to leave (evicted ) YOU WILL NOT HAVE YOUR HOLIDAY COST OR BOND RETURNED.
. Trecco Bay has everything you could possibly need for a great holiday in a beautiful part of Wales. It has a beautiful blue flag beach which you can walk along straight into the quaint old town of Porthcawl. 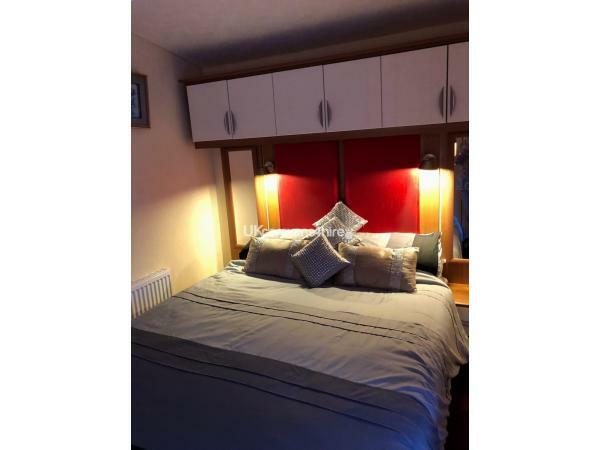 This luxury caravan has patio doors opening onto a large veranda the length of the van with modern comfortable patio furniture for you to have a quiet drink or two to pass away the time on those warm summer nights.The caravan is very well equipped with a large comfortable open plan lounge and dining area. 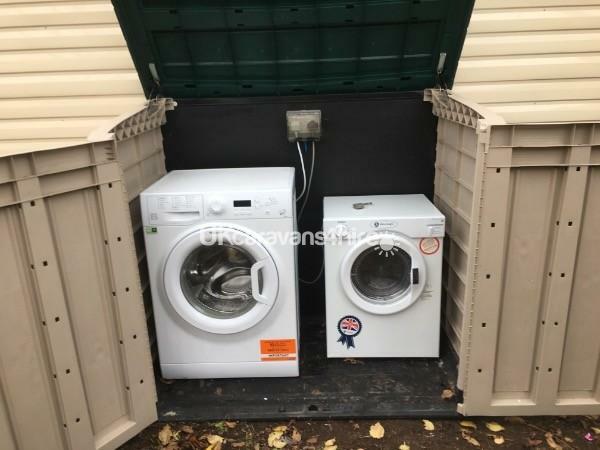 Fully equipped kitchen with full size oven, microwave, fridge freezer, toaster, kettle, iron, ironing board,Sandwich toaster, pots pans, in fact everything you'll need for a great holiday, even a washing machine and dryer in a storage area in the back garden. Just a few minutes walk from the main amusements. The nearest beach is just behind the caravan a couple of minutes walk away. 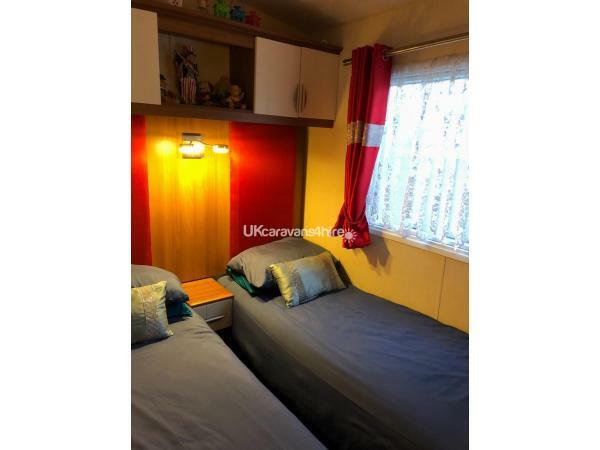 The caravan is in a quiet cul-de-sac but still within easy access to the main entertainment area a few minutes walk away. Inside the van we have a 50 inch tv in the main lounge with freeview and satalite . there is also a stereo CD player plus a selection of cd's.Also a DVD player plus a good selection of films for your entertainment. One of the twin bedrooms has a PlayStation 2 plus a selection of games and accessories,the tv also plays dvd's , the other twin has a tv to play dvd's. There is also adequate wardrobe space in both rooms. The main double bedroom has tv/DVD combo with satellite. This bedroom is also en-suite. Spare bedding for the pull out double bed in the lounge can be found under the lift up bed in this bedroom.There are good sized wardrobes and a large dressing table with mirror in this bedroom. 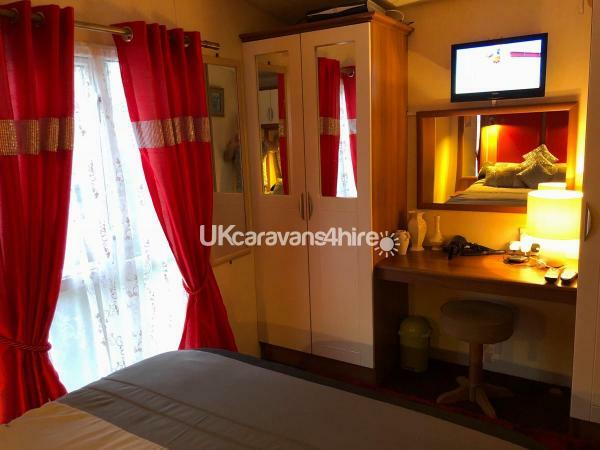 This luxury caravan has full central heating and double glazing , all tea coffee sugar washing up liquid ,cleaning liquids, toilet rolls ,plus gas and electric are included in the price. All beds are made before your arrival so no need to bring bedding with you ,just bring your own towels. Parkdean have now installed wifi on the site which you purchase on line. 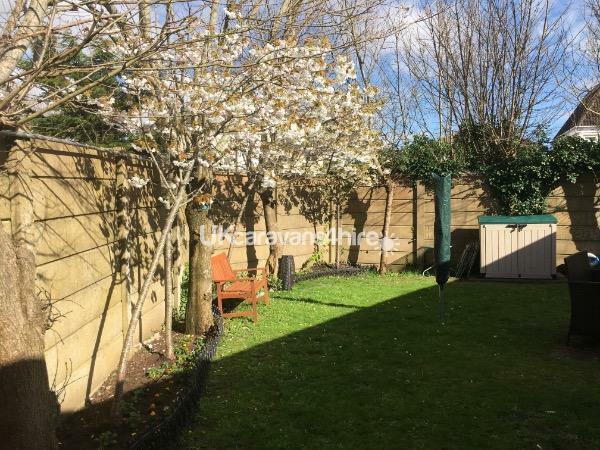 There is a large grassed private garden with another patio area and coal fired barbecue at the back of the caravan. Entertainment passes can be purchased from the owners select office , the price is £25 each. Additional Info: The Time Out venue is over 18 only so is adult entertainment no children. Also the Showdome and swimming pool require passes but you can pay on the door at the swimming pool. Thanks for such a great review so glad you enjoyed your stay in my caravan! Thanks for such a great review it was a pleasure to have you and your family in my caravan especially as you left it spotless after your holiday. Thanks again ! 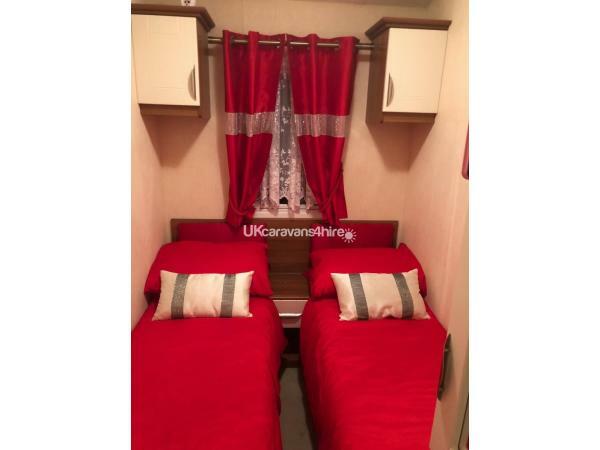 Lovely holiday, very clean and well looked after caravan, well equipped with absolutely everything you will need. Situated in a quieter part of the park and within walking distance of a great beach, the garden is a lovely little haven with plenty of seating and shade when required. Would definitely recommend. Thanks Jacqui for such a great review, so glad you enjoyed your holiday and it was a pleasure to have you and your family in my caravan. Thanks again. FANTASTIC CARAVAN. A REALLY HIGH CLASS CARAVAN WITH EVERYTHING YOU COULD POSSIBLY NEED INCLUDING A PLAYSTATION AND DVD’S. I WOULD HIGHLY RECOMMEND THIS CARAVAN AND WOULD DEFINATELY BOOK AGAIN. SO MUCH NICER THAN ANY VAN WE HAVE STAYED IN BEFORE. THANK YOU WALLY. Thanks for such a great review.... so glad you all enjoyed your holiday and look forward to hearing from you again in the future. Thanks for such a nice review.... nice to have a family in my holiday home that look after it and treat it as home from home. Hope to hear from you all in the future ! Fantastic caravan. Clean and tidy. A home away from home. Has everything you need. I highly recommend and would definitely book again. Thanks Gemma for such a great review and can I add that it was a pleasure to have you and your family in my caravan. You left it in a really clean & tidy condition and I would have no hesitation in renting to you again in the future. Thanks for such a nice review and taking the time to leave one. It's good to read people's reviews good or bad about there stay in my holiday home.